Vegetables and fruits are very important for the body to perform its functions. The health benefits of vegetables and fruits cannot be overemphasized. Their benefits are so much. They help the body to fight against diseases and even recover quickly from any form of infection. They help provide the body with important nutrients that the body needs. There are different kinds of vegetables and fruits and they vary from country to country. Carrot, cucumber, watermelon, orange, mango, pineapple etc. Vegetables and fruits help the body fight against obesity and its related health complications like heart diseases, diabetes, stroke etc. vegetables and fruits have very low cholesterol and calories in them and as such your body have no fat to accumulate when you eat them. They can also help the body to convert fats because of their high fiber content from other food with the help of the liver and pass it out of the body without it entering the body system. Vegetables and fruits are very rich in vital nutrients that the body needs. Nutrients like beta-carotene, magnesium phosphorous, zinc, potassium, phytochemicals, vitamins A, B, C, E, folic acid, and fiber. 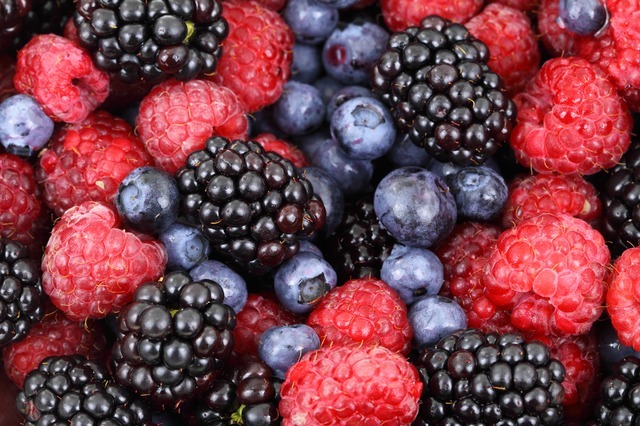 Vegetables and fruits are rich sources of fiber. And it helps the body fight and reduces the risk of being afflicted by certain kinds of cancer. And also help the stomach function properly and fight indigestion. Vegetables and fruits are a good source of the vitamin. A, B, C, and E. These vitamins help the body and its vital organs to function properly. Vegetables and fruits can help you stay healthy and live longer. Adding them to your diet will help your body fight against certain diseases like cancer, heart diseases obesity that would have cut the life of the individual short. When you consume vegetables and fruits, they help your cells to regenerate fast. Which means the dead cells are replaced quickly. And this will help the organs function properly. There will be no room for organ failure. Nothing makes you stand out in public like a set of sparkling white teeth. It also makes you look attractive, healthy and even look younger. Some persons hardly smile in public because their set of teeth look yellowish. After going through this blog post, you will walk and smile in public with confidence. Because I will expose to you all the home remedies around you that can give you that set of sparkling white teeth you desire. These home remedies are always around you even in your kitchen they are there. You don't need to spend so much in the hands of professional to archive your goals of having a white set of teeth. Home remedies like baking soda, orange peel, strawberries, hydrogen peroxide and lemon can make your teeth white and cleaner. 1 baking soda; You can use baking soda alone or mix it with other ingredients like toothpaste, hydrogen peroxide or lemon to whiten your teeth. I will advise you to mix it with other ingredients to get a better result. Mix a half teaspoon of baking soda with a full teaspoon of hydrogen peroxide and a full teaspoon of lemon with some toothpaste. Brush your teeth with the mixture for three minutes and risen with clean water. 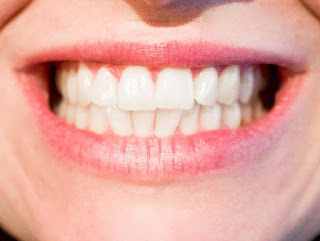 Do this twice a week and you will get your desire white teeth in a short time. 2 lemon: Lemon peel and the juice can help you get those white teeth that you desire. If you chose the peel, just rub the teeth with it gently and leave it for some minutes risen with water. But if you chose the juice of the lemon, just squeeze some into a cup and add salt to it. Brush your teeth gently with the mixture for some minutes and you will have your sparkling white teeth. 3 hydrogen peroxide: To get the best out of hydrogen peroxide is to mix it with other ingredients like lemon, baking soda, and toothpaste. Mix all these ingredients into a paste and brush your teeth with it at list twice a week. Squees some drops of lemon into a cup, and one teaspoon of baking soda, a teaspoon of hydrogen peroxide and add some toothpaste and brush with it and you will have your white teeth. 4 orange peel: Just as the orange with all its nutrients is important for your wellbeing, the peel from the orange is also very important. It contains some compounds in it that can make your teeth white like snow. Get the peel you removed from the orange and rub your teeth with it especially the yellowish spot for some minutes and risen with water and you will have your desired result. For some women, pregnancy is one of those wholesome moments in their lives. But it can also turn sour if the pregnancy is not taken good care of or there is a miscarriage. A pregnant woman needs to eat foods loaded with good nutrients but there are some foods that curse miscarriage that she needs to avoid. Foods like crabs, pineapple, mercury rich foods, papaya, and even eggs. If these foods are eaten in moderation they might not curse any problem to the unborn child or the mother. There are some compounds in these foods that have the ability to open the cervix and in the process curse miscarriage in pregnancy. These miscarriages occur during the first few months of pregnancy. Some foods that can curse miscarriage in pregnancy. 1 Crabs; This great food contains some good vitamins and minerals like calcium. 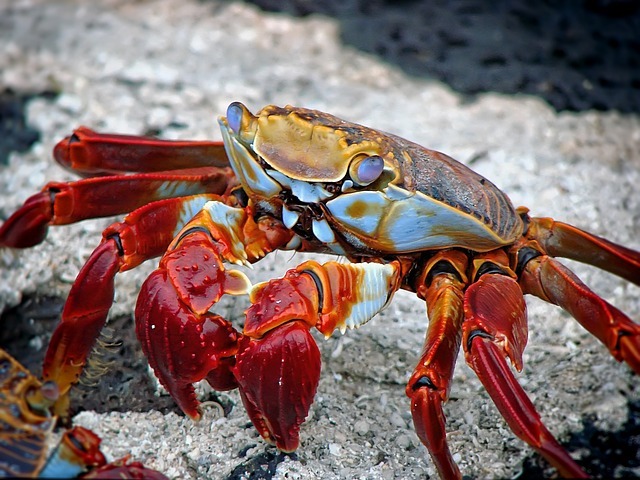 Crabs are also a very rich source of good cholesterol. But it should be eaten with care while you are pregnant because of its rich content of some chemicals and mercury. These chemicals and mercury can curse bleeding in the uterus. If this bleeding is not managed well medically it can lead to miscarriage. 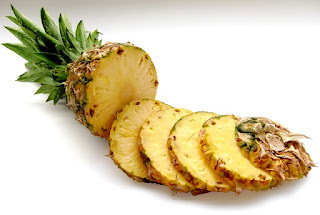 2 Pineapple; I will advise you reduce or even stop the consumption of Pineapple during the first few months of pregnancy, because of his rich content of bromelain. This compound has the ability to curse contraction during pregnancy by softening the cervix. aloe vera is one of those foods that curses miscarriage in pregnancy. Especially in the first few weeks of pregnancy. I know you are surprised about this with all its health benefits how can aloe vera curse miscarriage? Yes, it is possible because of its rich content of anthraquinones. This a chemical content that can open up the uterus for the miscarriage to occur. If you are the type that eats papaya with the seed, you have to avoid eaten it while you are pregnant. Because it is rich in some enzymes that can curse miscarriage in early pregnancy. These enzymes have the ability to curse contraction even when the pregnancy is in its early stages. 5 Caffeine; There are many foods and drinks that are rich in caffeine that the pregnant woman can easily get around her. Like soda, coffee, cigarettes http://yourhealthandmy.blogspot.com.ng/2017/03/health-effect-of-smoking-during.html?m=1 and even alcohol. Consuming these foods that contain caffeine in moderation might not be harmful to the pregnancy but too much of it in the system of the pregnant woman can curse miscarriage, stillbirth, low birth weight etc. Pregnant women should avoid foods rich in mercury like some type of fishes. Fishes that are rich in mercury are tilefish. shark, bigeye tuna, and even swordfish. Fishes are very rich in nutrients like omega oil that is needed by the baby for its development. But fishes should be consumed in moderation but other fishes that are rich in mercury should be avoided because it can curse a different kind of complications like the underdeveloped brain of the baby, miscarriage, and stillbirth. Millions of persons around the world have diabetes and over 25% percent of these persons don’t even know they have diabetes. Some have pre-diabetes which is high blood sugar, but it is not high enough to be diagnosed as type 2 diabetes and it might become diabetes if not treated. Diabetes goes with different kinds of health complications http://yourhealthandmy.blogspot.com.ng/2016/09/complications-linked-to-diabetes-that.html?m=1 like stroke, heart diseases, ulcer etc. I will advise you to worry less because there are ways this disease can be avoided. You can avoid it by eating foods rich in fiber, use spices instead of sodium, chose brown rice over white rice and Exercise always. Best ways to avoid diabetes. One of the best ways to avoid diabetes is to consume more fiber than you are currently consuming. 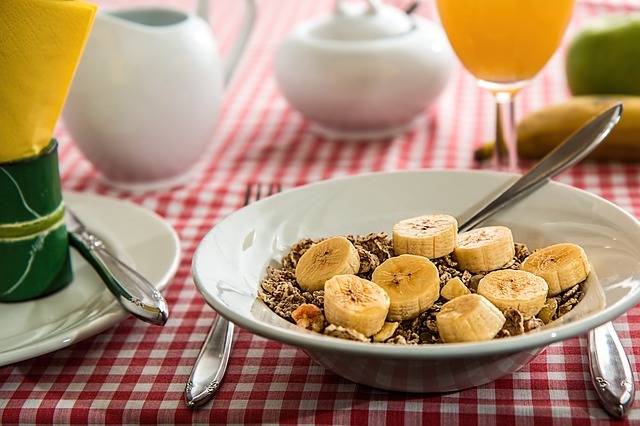 Nutrition experts always recommend that people living with diabetes should eat more than 40 grams of fiber per day. With my own findings, people don't even eat more than 10 grams a day. Consuming more fiber will help you manage diabetes at a very healthy level. Fiber helps the body reduce blood sugar because it had little or no sugar in it. Fiber also helps reduce blood sugar cursed by eating another type of food rich in sugar. It does this by stopping the sugar from been digested and sent into the bloodstream. Beans, brown rice, fruits, and vegetables are a good source of fiber. Fiber helps the body to also fight blood fat. As a diabetic person, it is better to sprinkle spice than to eat more of sodium enrich foods. Consuming more sodium can curse high blood pressure which can also increase your chances of becoming diabetic. Spices not only help the body reduce blood sugar, it also has the ability to help the body produce or boost insulin production. Some spices are a very rich source of antioxidants which help the body fight against tissue damage and blood clots. So consuming more spices instead of sodium will be a good health decision to take after going through this blog post. One good way to avoid and prevent diabetes is to eat whole grains or whole wheat because they contain more fiber than the other polished or processed grain or wheat. Studies have it that consuming whole grain reduces a person's chances of having diabetes by over 50 percent (50%). Processed or polished foods are the main culprit for heart diseases, stroke, tissue damage and even high blood sugar or diabetes. 4 Exercise, the best way to avoid diabetes; A person is said to be diabetic when he or she has too much sugar in his or her body system. When you exercise your body uses more blood sugar than it uses when the body is not active. And the body gets this extra sugar from the blood sugar in the body system. That will in-turn reduce the amount of blood sugar in the body system. And thus reduce the persons change of becoming a diabetic person. Folic acids is also know as Vitamin B9, It is part of the Vitamin B complex family. There are many health benefits of folic acid but on this blogpost i will educate us on some of them. Like its benefits to the heart, skin, male fertility, stroke, cholesterol, pregnancy etc. Folic acid is very important to the well being of the body hence you are always advice to eat foods containing folic acid or take its supplements. Folic acid can prevent stroke because it has the ability to remove homocysteine From the heart by turning it methionine. 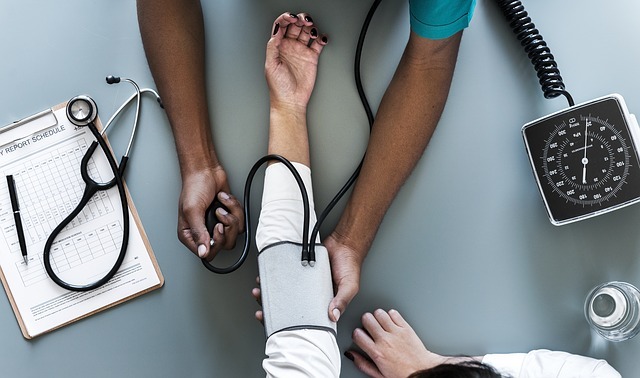 According to medical research, Homocysteine is the main culprit when it comes to having issue with stroke.. eating foods rich in folic acid or taking the supplement always can help you prevent stroke. Another health benefits of folic acid is its ability to men that have issues with quality sperm production. Taking folic acid supplements or eating foods that are rich in folic acid can help In the production of quality sperms. It can also help the women getting prepared for pregnancy to avoid defects in babies. Folic acid combine with other nutrients can help in fixing weak libido caused by Arteriosclerosis Because of its ability to lower high cholesterol. Bile help the body maintain its level of cholesterol and studies have it that an increase in folic acid intake boost the production of bile in the body. The importance of folic acid to the lowering of cholesterol can not be over emphasized. Many persons have died from.bad cholesterol related diseases but with this new discovery people can now live a healthy life. Placing yourself on 0.3 mg for 18 weeks will help your body produce enough bile that will balance the cholesterol level in your body for a healthy living. As you consume foods rich in folic acid or take the supplements as prescribed by your doctor there will be increase in hemoglobin in your body because of the increase in the production of red blood cell. Hemoglobin is responsible for the transportation of oxygen throughout the body. Folic acid health benefits to pregnant women can not be over emphasized. It is helpful to both the mother and the child. Folic acid helps the pregnant woman go through pregnancy without complications. Especially if the woman is having neural tube defect disease. Eating enough foods loaded with folic acid will help your body overcome this disease. Neutral tube defect is the main culprit in miscarriages, deformed babies, underdeveloped fetus and brain damage in children. The skin can also benefit from the goodness of folic acid. It can help the skin fight aging by making the skin firm and tender. Folic acid also help the body fight acne and recover from it. There are diseases that are associated with sickle cell anemia. These diseases make the person fall sick always if not attended to early and sometimes it might be fatal. On this blog post, I am educating you on how to treat some of this diseases. Diseases like anemia, crises, swelling hands and feet, infections and delayed growth. 1 Anemia. One reason sickle cell anemia sufferers always look anemic is that most of their red blood cells are sickled and have a very short lifespan. Their lifespan is shorter than the normal red blood cell lifespan And because these sickled red blood cells die early the body is let with less amount of red blood. And since the body is left with less amount of red blood cells the sufferer becomes anemic. To treat anemia associated with sickle cell diseases, you need to consume a lot of fruits and vegetables, hydrate yourself with enough water and eat foods rich in folic acids or take folic acid supplements as prescribed by your doctor or healthcare provider. If the anemia is severe the person should be taken to the hospital for blood transfusion and proper treatment. 2 Episodes of pain. Another disease associated with sickle cell anemia is crises. This Periodic episode of pain called Crises occur when the red blood cells that are sickled in shape blocked the tiny blood vessels in the body from transporting blood and oxygen from the heart to another part of the body. Crises can be treated with pain reliever drugs and these drugs should be taken as prescribed by your doctor. Severe pains can only be treated in the hospital with infusion, blood transfusion combined with drugs. The best way to avoid crises in the life of any person suffering from sickle cell disease is to hydrate that person always. http://yourhealthandmy.blogspot.com.ng/2016/02/sickle-and-water.html?m=1 Always keep yourself warm when there is cold and keep yourself hydrated when there is heat. Also stay away from foods and drinks like soda and other bicarbonate drinks, cold water etc. To also avoid crises, hydrate yourself immediately you are treated from malaria or any other disease. 3 Painful swelling of feet and hands; The swelling is very painful and last for days and sometimes weeks. These painful swelling are caused by sickled red blood cells blocking blood in the vessels from flowing to the hands and feet. These painful swellings can be treated by messengering the affected part of the body with some pain reliever balm ( Aboliki in Nigeria). It can also be treated with drugs as prescribed by the doctor. 4 Frequent infections. Because their immune system is low, people living with Sickle cells anemia are vulnerable to diseases. There is an organ in the body called spleen that helps the body to fight diseases if the organ is damage due to lack of oxygen the person is bound to fall sick aways. The best way to handle this is to give the person some vaccinations That will be helpful to that person. The person should drink water always to help the body transport oxygen and nutrients throughout the body and flush out all the dead red blood cells in the blood vessels. 5 Delayed growth. Without nutrient,s the body will not function well and there will be growth delayed. 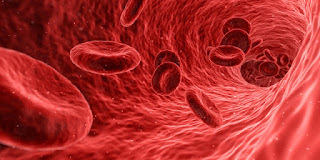 It is the responsibility of the Red blood cells to provide the body with the right nutrients and since the body is lacking in a healthy red blood cell, there is bound to be delayed in growth. To handle this problem the person suffering from sickle cell anemia should eat a lot of fruits and vegetables. Especially the fruits and vegetables that contain zinc. People living with sickle cell anemia are advice to eat more. They should eat more that the normal three times a day. As you can see the problem of the persons living with the disease is having enough normal red blood cells that will help the body to function well. But when you eat enough quality foods i mean balance diets, your body will be well and the Person will live a normal life. insulin-like Growth Factor (IGF) that help trigger the production of multiple eggs in the body of a woman. 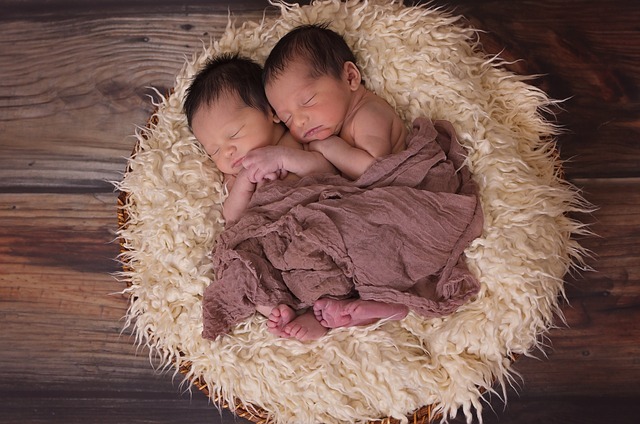 2 Folic Acid: Eating foods that contain folic acid or taking the supplements can help a woman get pregnant with twins. Consuming 400 to 800 micrograms per day will help you archive your goal of getting pregnant with twins. 3 wild yams: These wild yams are mostly found in the western part of Nigeria. It is a diet eating with vegetable soups. Eating these wild yams can help a woman get pregnant with twins. This is made possible because of the presence of some nutrients that can trigger the ovaries of a woman to produce many eggs while ovulating. Cow meat especially the liver can help you get pregnant with twins. Please don't over consume red meat because it is high in cholesterol. The timeframe you are to increase your meat intake is that time you are to get pregnant. Immediately you take in, or you are pregnant, your meat consumption should reduce to the amount you were consuming before. 5 fruits and vegetables: Another type of food that helps a woman get pregnant with twins are fruits and vegetables. The role of fruits and vegetables to well being of a human is very important especially in the reproductive system of a man or woman. 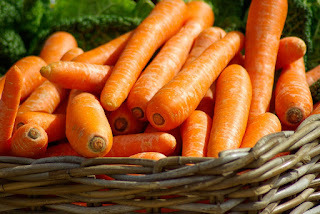 There are some nutrients in these fruits and vegetables that can prepare the body for pregnancy and can also help the body get pregnant with twins. Also, work on your lifestyles by reducing your intake of alcohol and smoking. Adding some weight is also very important to your getting pregnant with twins. about us i am omozuhiomwen charles the C E O of noblcha consult. yourhealthandmy.blogspot,com was set to help you health wise. sickle cell and water, drink enough water. contact us contact us at noblcha consult charlesomozu247@gmail.com +2348099089801 and please always drop a comment it will help us a lot.